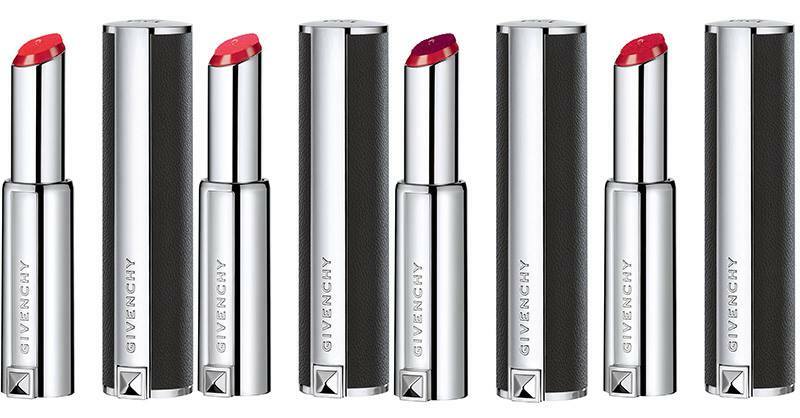 Discover the new Givenchy Le Rouge Liquide lipstick line, a true couture accessory adorned with genuine leather case. 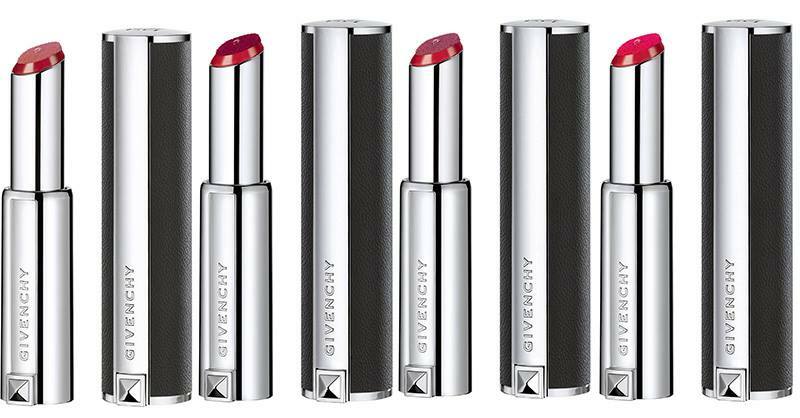 This new lipstick dresses lips with intense colors in a single application while moisturizing them. The texture is creamy and glides easily across the lips ensuring a velvety, semi-matte finish. 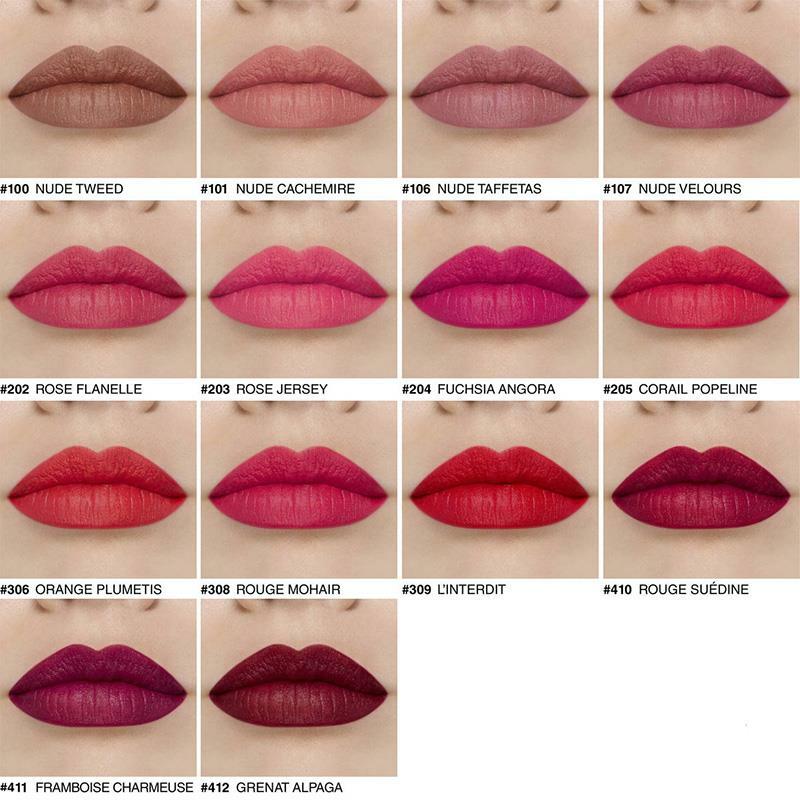 I have lip swatches of Givenchy Le Rouge Liquide for you after the jump! Givenchy’s newest couture creation invites you to expect the unexpected: a tantalizing texture that’s revealed like a twist of fate; a velvet matte that never feels matte; an unveiling that feels like slight of hand. 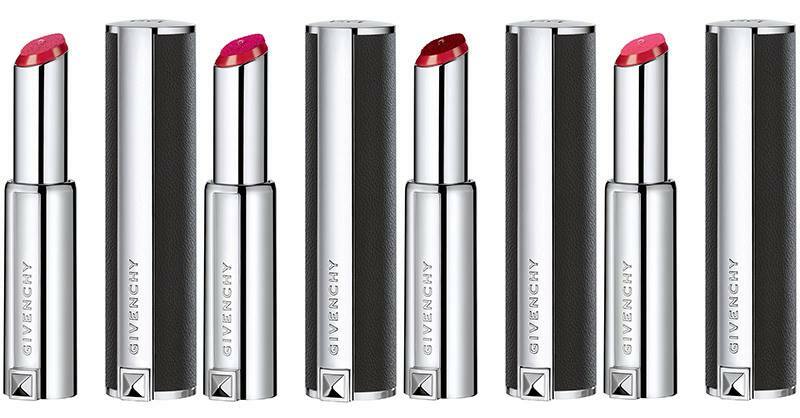 What starts out as a classic Givenchy signature black leather and metal stud lipstick case opens to flaunt a distinctly unlipstick-like, never-before-seen, pen-like foam applicator that’s designed to deliver just the right amount of super-vibrant, whipped, creamy liquid color. Open, twist, and release a soft, sensual cashmere caress of extravagant, daring color that’s more than meets the eye. Its hyaluronic-acid formula hydrates and smoothes like a nourishing lip balm, keeping delicate skin petal-soft and plump for over six hours, while clay extracts create a brilliant sheath effect that wraps your pout in intense color that lasts all day without a hint of drying. Gatuline oil extracted from exotic flowers of Acmella sculpts and maximizes lips, erasing aging lines andcreating the illusion of a broader, fuller, plusher mouth. I received a sample of 3 shades of these and loved them so much I had to have one. I went to Sephora and couldn’t make up my mind which color so I picked up 3. 107 is my go to shade of any lipstick, but I also got 410 and 412 to bring into this coming fall. Love the applicator. Color stays on for at least 4 hours even after eating.